Prime Minister Narendra Modi on Saturday greeted the American people on their Independence Day and expressed confidence that bilateral ties will get even better in times to come based on the “renewed energy” about which he was “extremely excited”. 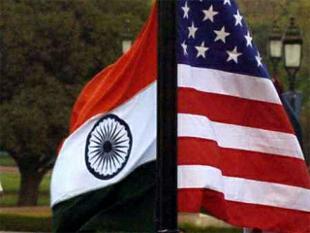 “The ties between India and the US are time tested and connected by shared values. We are both vibrant democracies and remain very proud of our democratic framework,” he said. He recalled his visit to the US last year and that of President Barack Obama here in January this year to become the first ever President of USA to join India’s Republic Day celebrations as Chief Guest. Substantial ground was covered during both these visits as far as strengthening of US-India ties are concerned, he wrote in the message. 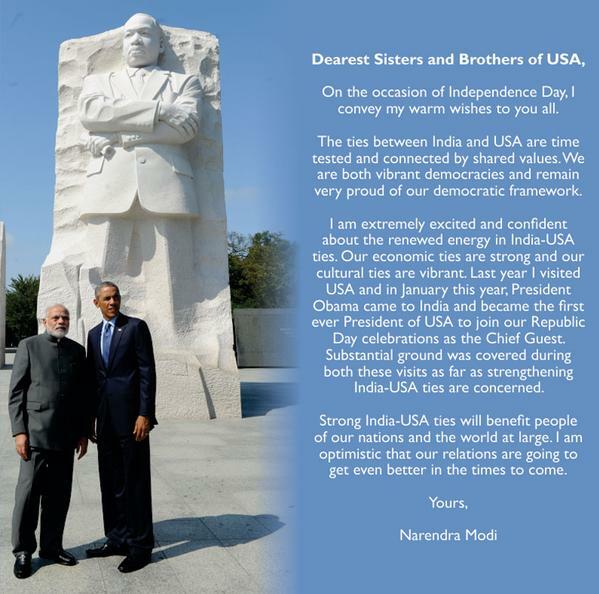 “Strong India-US ties will benefit people of our nations and the world at large. I am optimistic that our relations are going to get even better in times to come,” he said.